Trade shows and company gatherings introduce a lot of new people. Make the most of your next meet-and-greet, party or mixer by creating customized name badges with sharp, clear text. 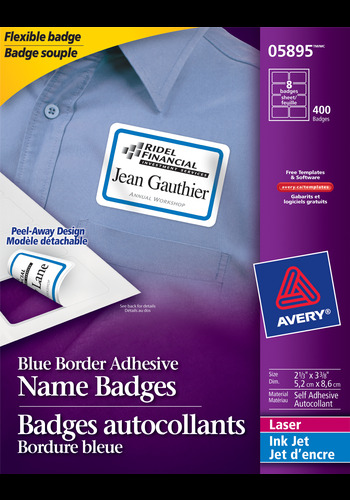 Adorned with an attractive blue border, these adhesive name badges feature improved flexibility to move with clothing and stick securely to fabric without curling at the corners or falling off. Trade shows and company gatherings introduce a lot of new people. 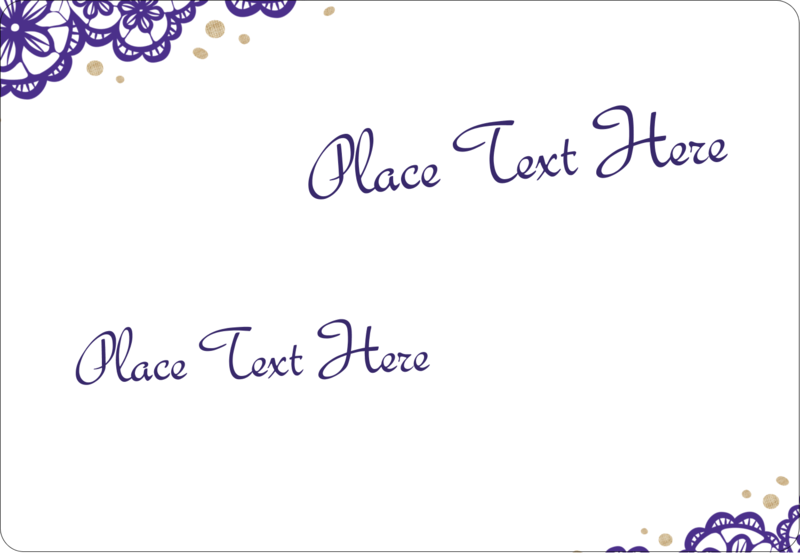 Make the most of your next meet-and-greet, party or mixer by creating customized name badges with sharp, clear text. Adorned with an attractive blue border, these adhesive name badges feature improved flexibility to move with clothing and stick securely to fabric without curling at the corners or falling off. And the removable adhesive is safe for most fabrics. * Plus, the Peel-Away Design allows for quick and easy name badge separation - a major time-saver when sorting and distributing badges at large events. Easily customize the blue border badges with rounded corners for a professional touch, using our free Avery® Design and Print Online software to design and print badges everyone will be proud to wear. 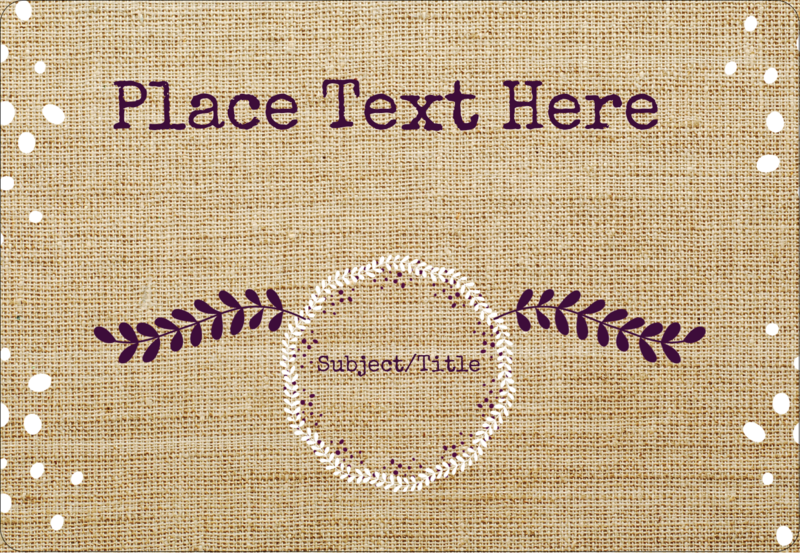 Add text, graphics and logos for identifying your employees at picnics, parties, meetings or seminars. Or you can handwrite. Altogether, this is one name badge solution that needs no introduction. Label Size 3⅜" x 2⅓"